The third Kiszka and Kershaw crime thriller. Things are looking up for Janusz Kiszka, big-hearted 'fixer' to London's Poles. His girlfriend/the love of his life, Kasia, is finally leaving her no-good husband to make a new life with him, and he's on the brink of a deal to ensure their financial security for years to come. Then Kasia vanishes - and the big Pole's world is torn apart. Convinced she's been abducted, he must swallow his pride and seek the help of an old contact - maverick cop Natalie Kershaw, who's been suspended following a fatal shooting. 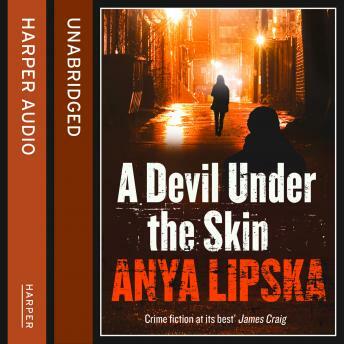 But the search swiftly takes an even darker turn... What connects Kasia's disappearance and a string of brutal East End murders? And who is the mysterious and murderous enforcer stalking the streets of London? Meanwhile, time is running out for Kasia. To reach her, Kiszka must confront a gut-wrenching dilemma that will shape the rest of his life.